The product liability lawyers of the Eshelman Legal Group are reviewing potential claims for individuals throughout the United States who have experienced serious complications using the Cook IVC Filters, the Bard IVC Filters or any other type of IVC Filters used to control blood clots which may be linked to the risk of serious internal injury or life threatening complications. Potential Cook and Bard IVC Filter Lawsuits are being reviewed by our law firm the Eshelman Legal Group under a contingency fee agreement, which means that there are no fees or expenses unless a recovery is obtained for an injury. Request your free consultation and claim evaluation. ( The following is a direct article from the official FDA website ) "Since 2005, the FDA has received 921 device adverse event reports involving IVC filters, of which 328 involved device migration, 146 involved embolizations (detachment of device components), 70 involved perforation of the IVC, and 56 involved filter fracture. Some of these events led to adverse clinical outcomes in patients. These types of events may be related to a retrievable filter remaining in the body for long periods of time, beyond the time when the risk of pulmonary embolism (PE) has subsided. The FDA is concerned that these retrievable IVC filters, intended for short-term placement, are not always removed once a patient’s risk for PE subsides. Known long term risks associated with IVC filters include but are not limited to lower limb deep vein thrombosis (DVT), filter fracture, filter migration, filter embolization and IVC perforation." In July of 2015 the FDA issued a warning to C. R. Bard Inc.
You can read this entire letter at the official FDA website. As with most litigation, time limits may apply to your individual case. 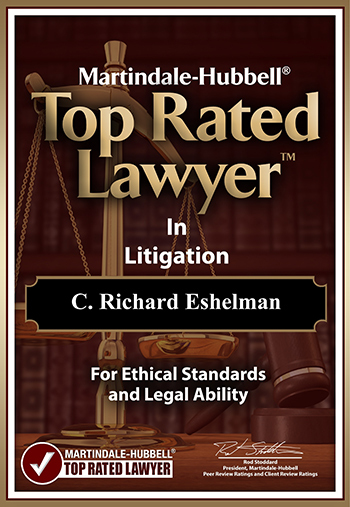 Do not hesitate to get your case reviewed by the experienced legal professional team at the Eshelman Legal Group. By waiting too long, you risk the chance to forfeit your medical case and may never recover from your loss or damages. Allow us to help you through this complicated and trying situation. We understand the pain and suffering of injured victims. We have been helping injured victims for over 40 years. 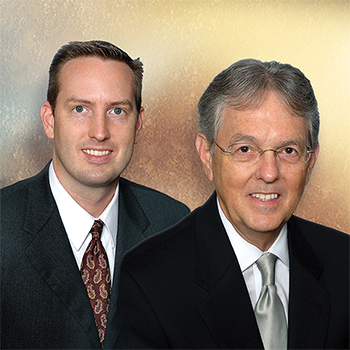 We have partnered with the best legal professionals to represent your case and fight to get you the best possible settlement. Remember, there are no costs to you unless we win your case. Call today, do not let your case expire. 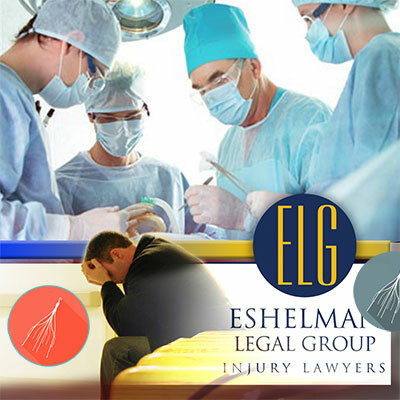 The attorneys at the Eshelman Legal Group understand that no matter how cautious you are, others may not be so careful, and accidents happen. So we hope you don’t need to, but if you are in a situation where you need the advice of a professional injury lawyer, the Eshelman Legal Group is here to help you. For over 40 years we have been assisting accident victims, and we are here to assist you too... because “We’ll make things right.” . Have You Been Injured by an IVC Filter?